I met the children halfway through their meal and had to answer two questions repeatedly – “Where were you during the week?” and "Did you eat today?” I don’t remember even my mother being so concerned but I’m enjoying the attention! Narayana has preserved the Zero Rupee note and asked for another. When I reminded him of his determined words, last Saturday, he agreed to act. Divya and Lata (class V students) will have lunch at home as they are bored of eating at school everyday. Suddenly, one of the class IV boys started addressing me as ‘Puli miss’ (puli is tiger in Kannada, Telugu and Tamil) excitedly. I thought he had mistaken my name or was joking, forgetting all about the tiger’s face block-printed on my t-shirt. Does anything ever escape these childrens’ alert eyes and ears? As Murthy, Surya, Suhasini, Lata, Pushpalata and Narayana (all from class VII) were finishing their meal, I showed them last week’s neighbourhood supplement from The Hindu which featured Shivaji Nagar. All of them identified St. Mary’s Church and Bowring Hospital almost instantly. Some knew Russell Market but not its name. Venkatesh and I chatted on various topics for nearly an hour after that. We began with Pongal and other harvest festivals in India and the rest of the world, thanks to Young World’s latest edition. He talked about the computer games and drawings that he plays with on some Sundays and thought that was the machine’s primary use. He has heard of the time zone differences between India and America on the news but I had to explain to him why. He has been helping his brother recover by massaging his body. He then narrated how his brother and sister-in-law met at high school next door and married against her parents’ wishes. They have a six month old daughter and live with his family now. Nice article on Bangalore’s old area. The word “Puli” does not mean tiger in the Kannada language! Karnataka and Andhra Pradesh celebrate “Sankaranti” which is based on planetory movement of SuryaDeva into Makara, in the cities, villagers very different, authentic. ShivajiNagar has a different reputation anyways for sometime now..compared to 30 years ago. 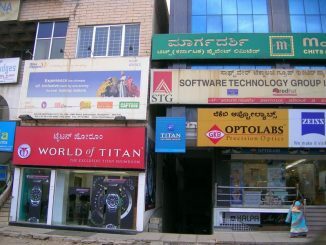 Looks you’re new to Bangalore!